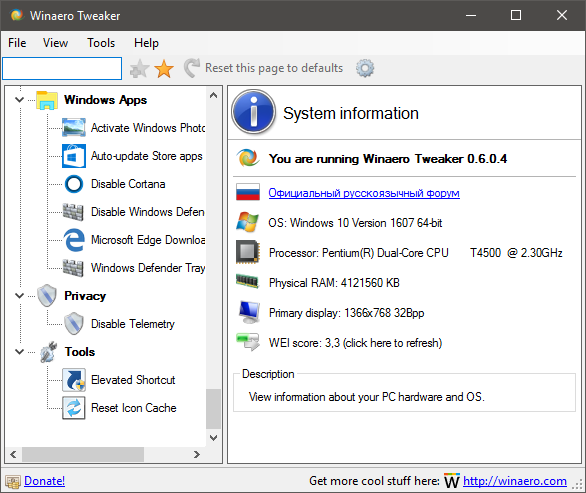 Winaero Tweaker — universal tweaker software which supports Windows 7, Windows 8, Windows 8.1 and the upcoming Windows 10. Change Windows Update behavior which is locked to «Install updates automatically» in Windows 10. Enable the secret hidden experimental Date & Time pane which is not enabled by default in Windows 10. Enable the secret hidden experimental Login Screen which is not enabled by default in Windows 10. Here you can switch between the old resizable Start menu and the new «Continuum» Start menu in Windows 10. These options are inherited from my famous AeroTuner application and available for Windows 7, Windows 8 and Windows 8.1. It allows changing many Aero related hidden secret parameters in Windows 7. You can also sync the Aero color and the Start screen color in Windows 8 and Windows 8.1. In Windows 8, it also includes «Enable Window Colorization» and «High Contrast Mode» hidden settings. Customize or remove the shortcut overlay icon in Explorer. This will restart Explorer automatically. Customize the size of the window frame. You can reduce or enlarge it. When enabled, you can slow down window animations by pressing and holding the Shift key. This is the the animation you see when minimizing, maximizing or closing a window. Disable «Look for an app in the Store» option when an unknown file type is opened. When disabled, Windows will only show a dialog with apps installed on your PC. Enable or disable the notification «You have new apps that can open this type of file» for newly installed apps. When enabled, Windows will not display the last user that successfully signed in on the Login screen. Enable or disable verbose sign-in status messages. 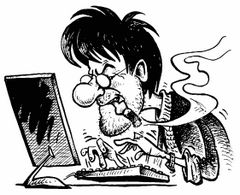 Verbose status messages may be helpful when you are troubleshooting slow startup, shutdown, logon, or logoff behavior. The default account named «Administrator» remains disabled and hidden since Windows Vista. Here you can enable or disable the built-in Administrator account. Enable or disable the «Pin To Start» context menu command for all files and folders. 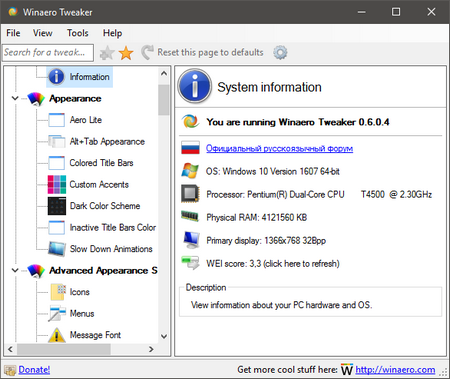 View information about your PC hardware and OS including WEI score. Size: 1,7 / 1,5 MB.